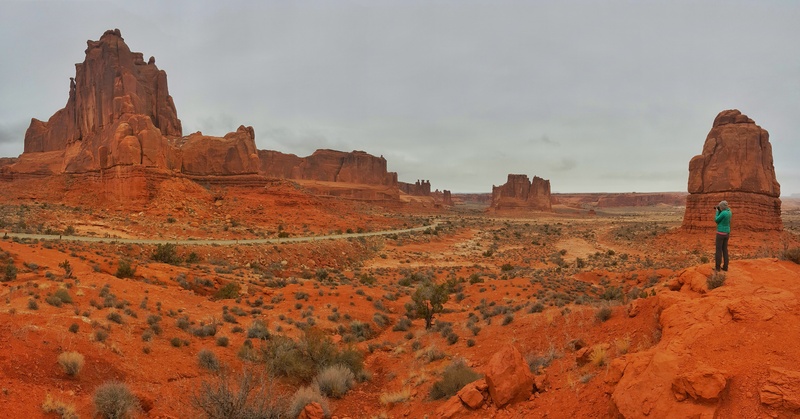 Arches National Park is one of Utah’s finest parks. The main highlights are the stunning red rock, hundreds of archways and windows, and short hiking trails. Many combine Arches with a trip to Canyonlands as they are near to each other. 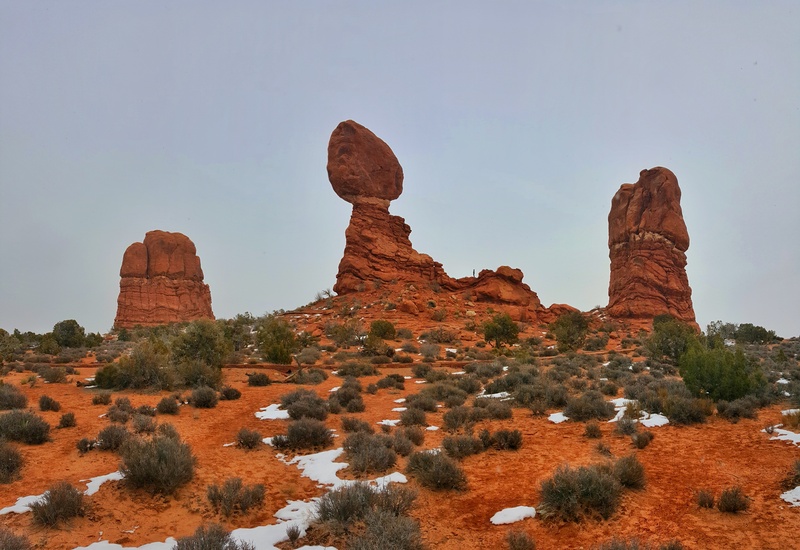 Arches, a smaller park, can be explored in one day. Here are the best sites for a perfect one-day itinerary. 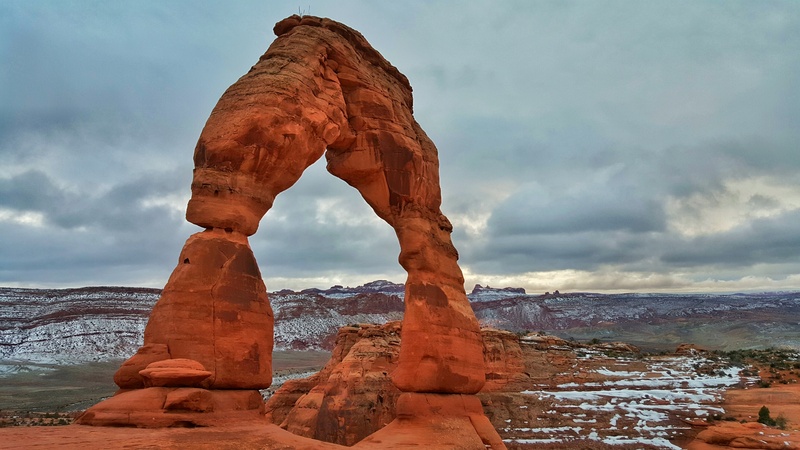 The best time of year to visit Arches is in the Fall before snowfall can disrupt the trails, yet after the busy tourist season in the summer. During the winter, when there is snow on the ground, this is also a nice time for photography due to the contrast of the red rock and the white snow. Camping is available year-round at Devils Garden Campground within the national park for $25 per night (each campsite). 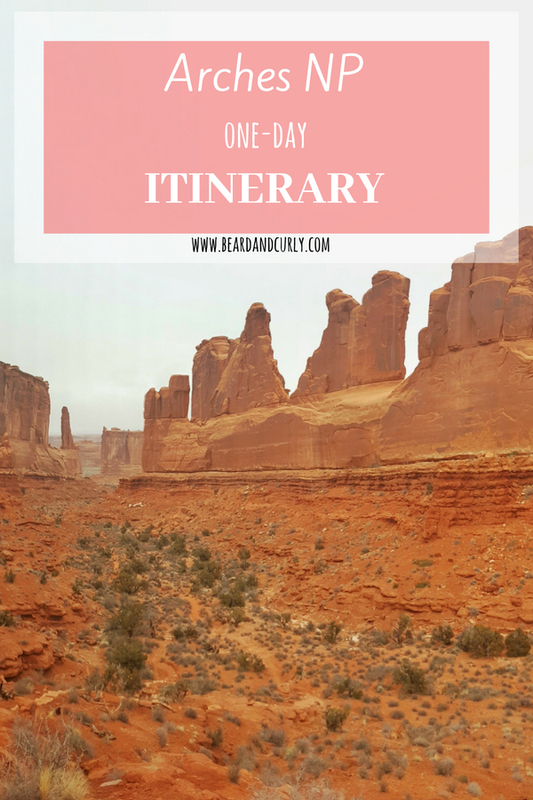 Moab is the main town just outside of Arches National Park which has many options. Budget Stay: Lazy Lizard Hostel is very basic, but the cheapest in town with dorms for $12 and private cabins starting at $40. Arches is located just outside of Moab, Utah. It is a 10-minute drive on Highway 191 North. The highlight of Arches is to come to see the sunset at Delicate Arch. This is a very famous location for photographers. The trailhead is at Wolfe Ranch. Pass the historic cabins as well as the hieroglyphs. After a small wash, there is an open slickrock section. Near the top, there are a couple signs with arrows pointing for the trail to continue to the left. The trail will come to a narrow path hugging a ledge on the side of a cliff. Immediately following this section, you will be across from Delicate Arch.